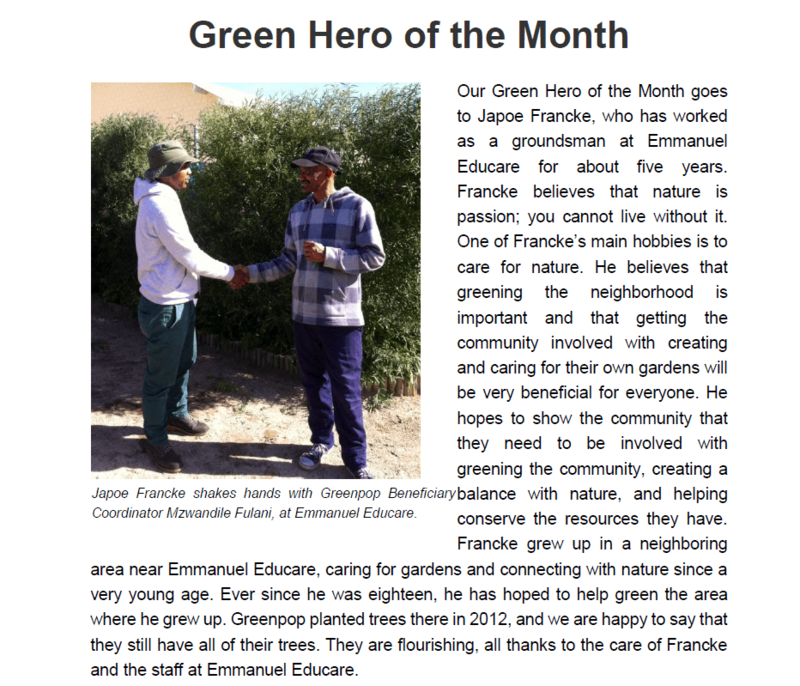 Our caretaker, Japie Francke, was commended in a recent issue of the Greenpop newsletter. The article is reproduced below. Well done Japie!